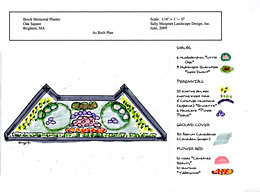 The Friends of Oak Square asked for a redesign of the plantings for their Brighton Park. The new plan includes spring bulbs, late spring flowering rhododendrons, summer and fall flowering roses and hydrangeas, and purple leaved perennials. 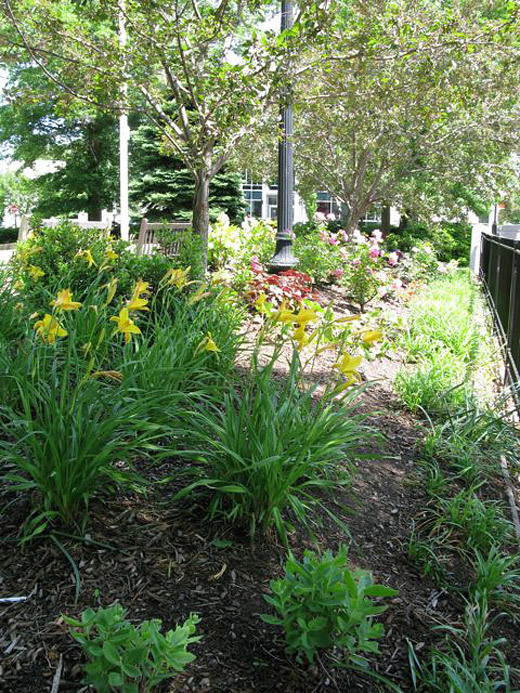 Lirope, daylilies and sedums salvaged from the previous planting were reorganized to frame the new plants. 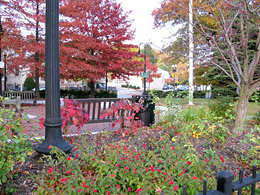 A small section for annuals links the planter to the annual plantings on the surrounding traffic islands. Oak leaved hydrangeas and lantana 'Tiddleywinks', November 2009.